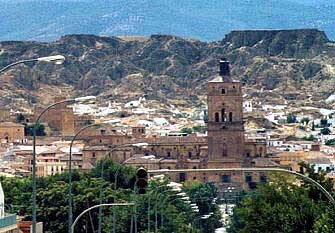 Guadix is a municipality of Granada situated right at the foot of the well-known Sierra Nevada, a popular location during the winter season. 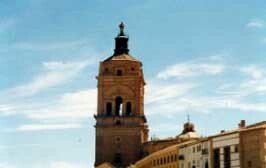 Guadix offers a major archaeological and cultural legacy that you can enjoy as you discover its streets. Guadix is considered one of the oldest settlements on the peninsula although the city itself, which is of Iberian origin, was later occupied by the Romans. The current name was given after the Arab conquest, being known in the past as 'Wadi Ash', which is pronounced 'Wad ish'. The human presence dates back to the Stone Age and here came to settle Phoenicians, the great traders of the Mediterranean. The great cultural legacy of Guadix includes monuments, archaeological remains of civilizations that have occupied the place and religious buildings fruit of the Christian conquest of the territory. This former defensive fortress is located on the hill near Guadix. The eleventh century this tower was part of the ancient wall that surrounded the city. Originally an Arab souk which later became part of the place where were built the mansions for the aristocrats who arrived in the city. This old neighbourhood has typical Moorish streets and design. A highly recommended visit is the district of Barrio de las Cuevas where you find houses carved into the rock. The place where is located this town of Granada has been since ancient times a crossroads that even today continues to link different parts of Andalusia through the A-92. To get to Guadix from Malaga or Granada, access the A-92 and cross the Sierra de Huetor Natural Park which is situated very close to this destination. If you need to rent a car at Malaga airport on arrival or a private taxi to Guadix in Granada feel free to check our prices. In the map below you can view the entire route by road, a distance of no more than 2 hours.